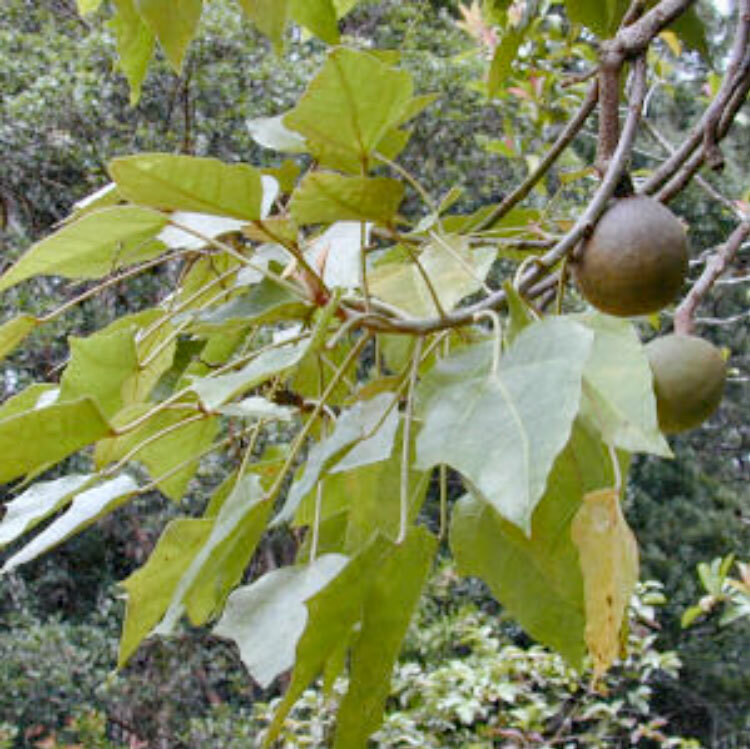 The Kukui or Candlenut tree is the state tree of Hawaii. In Hawaii, the tree has a spiritual significance of hope and renewal. As the most common of Hawaii’s forest trees, the kukui tree can grow up to 80 feet tall. Because of its fragrant white flowers, and of course its colorful history, the kukui tree is a beautiful symbol of Hawaii. Originally reserved for royalty in ancient times, the kukui nut was worn by the reigning chiefs and Kings of Hawaii, known as Ali‘I; The kukui nut oil was not only used on handmade bowls, but also on Koa tree canoes, and surfboards. Long valued by the early Hawaiians, kukui was brought to the islands more than a thousand years ago by migrating Polynesians. For these early people, the tree was one of incredible bounty: canoes were carved from its buoyant trunks, and its oily seeds were strung together and burned as a sort of primitive candle. Oil pressed from nuts was also burned in stone lamps, with the residual material, or cake, being used to feed cattle and for crop fertilization. Dyes produced by crushing the covering of the nuts was used in tattooing, and a dye made from the root became a black paint for canoes. Two ancient uses of the kukui continue as favorites today: a relish, popular at luaus and other celebrations, is made from the roasted and chopped nuts of the kukui; and the festive leis that greet thousands of visitors to Hawaii every year are made of beaded kukui nuts.